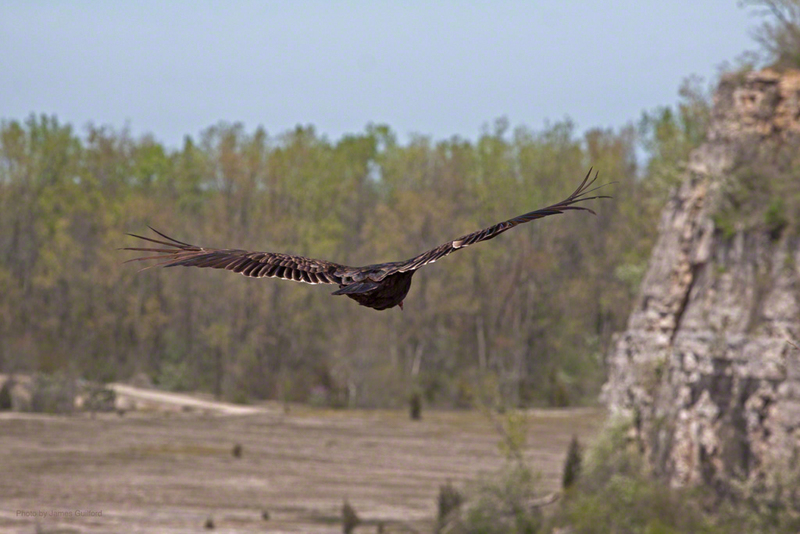 Cliff soaring at the Castalia Quarry MetroPark. Exploring places new to us, Sunday we paid a visit to the Castalia Quarry location of Erie MetroParks. The huge, open limestone pit is mostly dry and surrounded by wooded trails. Visitors must be cautious and are warned, in park literature, not to stray from the designated paths; there are no fences protecting visitors from steep cliffs with rocky floors below. Vulture flyby on a blue sky day. The place was mentioned as a good location to see birds and we heard a good many. 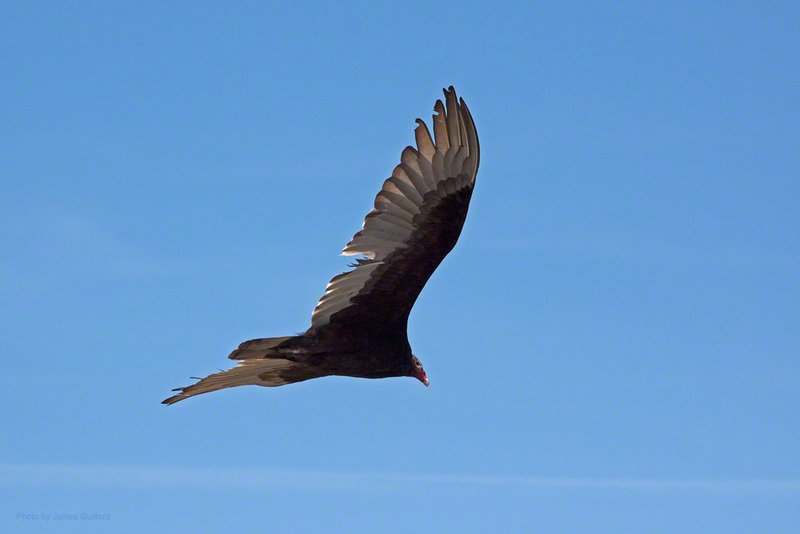 The airshow, however, belonged to a species many revile or connect only with spooky images of death and decay … the Turkey Vulture (Cathartes aura). What the big, black birds may lack in looks, they more than make up for in flight. We usually see them riding thermals over open spaces seeking carrion upon which to feed. Their keen sense of smell leads them to their meals, the bird’s eye view guides final approach, and their nearly-featherless heads and open nostrils make their butcher’s work, um, cleaner. Soaring along the rock face. 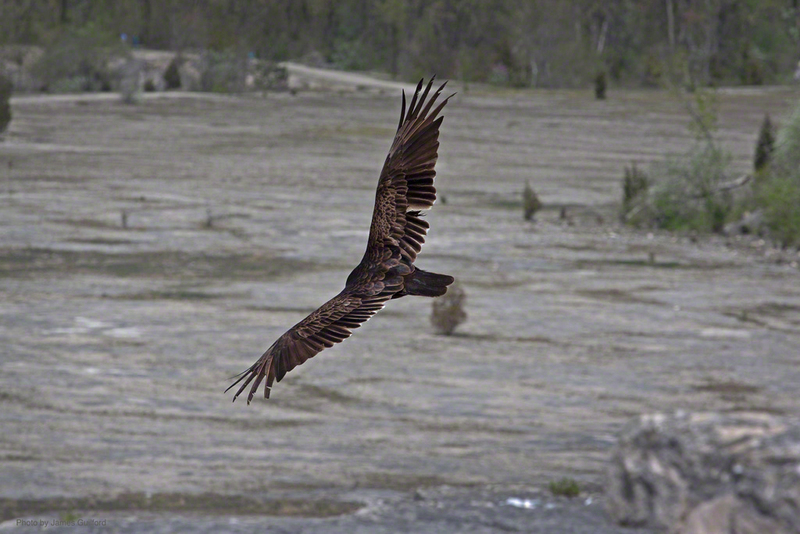 This day, however, the big birds seemed almost to enjoy soaring on powerful updrafts created by lake breezes driven against the sheer rock cliffs of the quarry. 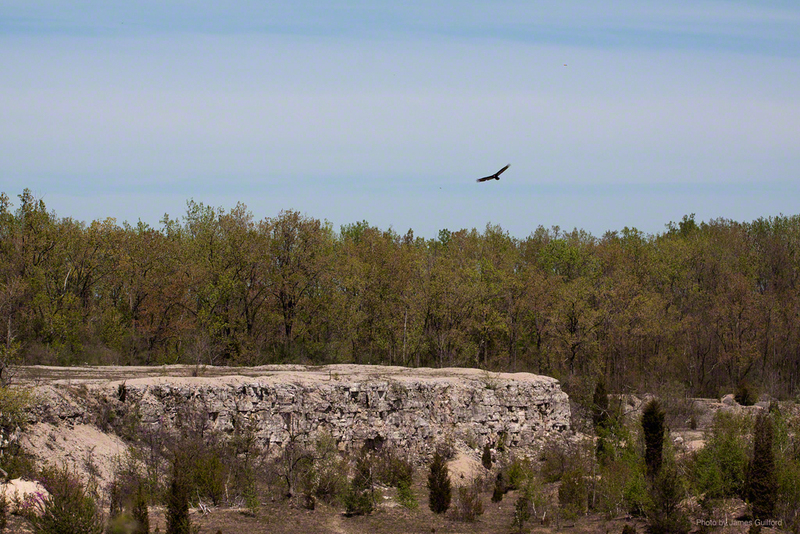 Maybe a dozen vultures swooped and kited, back and forth, up and down over the rock pit. Standing near a cliff we watched as birds zoomed up, out of the stony depths in front of us, and went rocketing into the sky. View over the quarry floor. What a thrill it was to watch the buzzards in flight! They may not be much to look at but oh, how they fly! Their chicks are pretty cute. We have a pair nesting in our backyard.